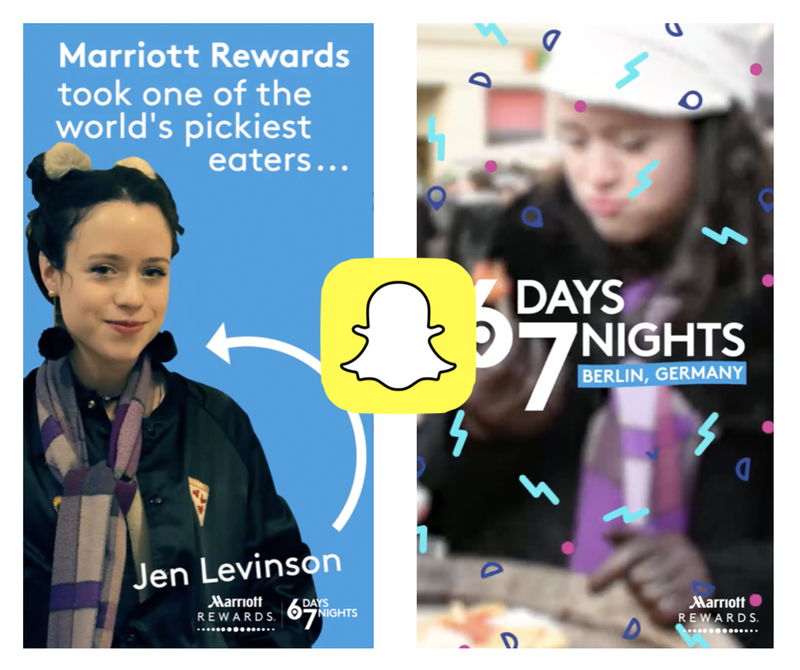 Marriott International’s loyalty program, Marriott Rewards, has announced “Six Days, Seven Nights” show created exclusively for Snapchat. The original series featuring social media influencers Tom Jauncey, Diipa Khosla, Sara Hopkins and Jen Levinson, debuted on Marriott Rewards Snapchat channel on March 30. Each three-minute “snapisode” is filmed on Snapchat and using Snapchat Spectacles. The unscripted videos feature new destinations, cultures and communities and showcase Marriott's international locations. In the first episode, LA-based actress Snapchatter Jen Levinson stayed at Moxy Hotels in Berlin and explored the local foodie scene, including strudel, schnitzel, currywurst and frog legs. 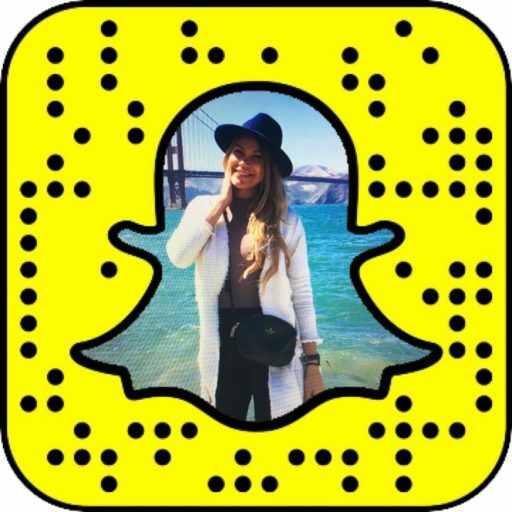 In an exclusive comment for Snapchat Daily, Amanda Moore, Marriott Senior Director, Social & Digital Marketing, Loyalty shared shared why the brand has decided to give the original Snapchat series a shot: "With more than 100M members across Marriott Rewards, SPG and The Ritz-Carlton Rewards we know loyalty is a relationship that builds over time. Snapchat, with its younger audience, is a great channel for us to introduce Marriott Rewards and begin building a relationship with that next generation of travelers". "Through short-form pieces of content, Snapchat is ushering in a new style of screen viewing that is completely designed for keeping people’s attention, and it appears to be working as it’s the fastest growing social platform currently. As a result, the platform presented an interesting opportunity for us to communicate the benefits of loyalty, while transporting viewers to cities and Marriott properties around the world; many never have been, but could potentially visit. To create the concept, we looked to TV and its use of the traditional story arc for inspiration. Together with our agencies imre and Delmondo, we worked to bring viewers on Snapchat a truly immersive story that had relatable characters and a defined beginning, middle and end", said Amanda. Marriott worked with Snapchat on an ad buy for the full episode. It will be served to people based on who they follow, and users can follow along as the episodes are being filmed. Behind-the-scenes footage of the story is available on Marriott Rewards' Snapchat channel, and the full episodes are also available on YouTube and Facebook. Each host will also create a "best-of" travel listicle for each destination on @MarriottRewards Instagram Stories. In Marriott's social media ecosystem, Snapchat is the place to connect and communicate with the company's younger followers. The channel introduces people to what it’s like to experience membership including the places, properties, people and loyalty program benefits and receive instant feedback from the users. Talking about the experience of using Snapchat to create branded content, Amanda Moore noted that "Snapchat’s distribution model pushes brands toward advertising rather than establishing an owned channel presence. For brands, this enables us to purposefully deliver content to people we believe will find it the most engaging". The brand's challenge with“Six Days, Seven Nights” therefore was to create a story that "hooks viewers from the start, while balancing brand messaging throughout". The most rewarding aspect of this series, according to Amanda, is "being able to receive instant feedback and hear personal travel stories from <the loyalty program> members". The first season of “Six Days, Seven Nights” serves as the “pilot” for Marriott's series. Depending on the user feedback and the success of the pilot show the company will make a decision on whether to proceed with a second season.